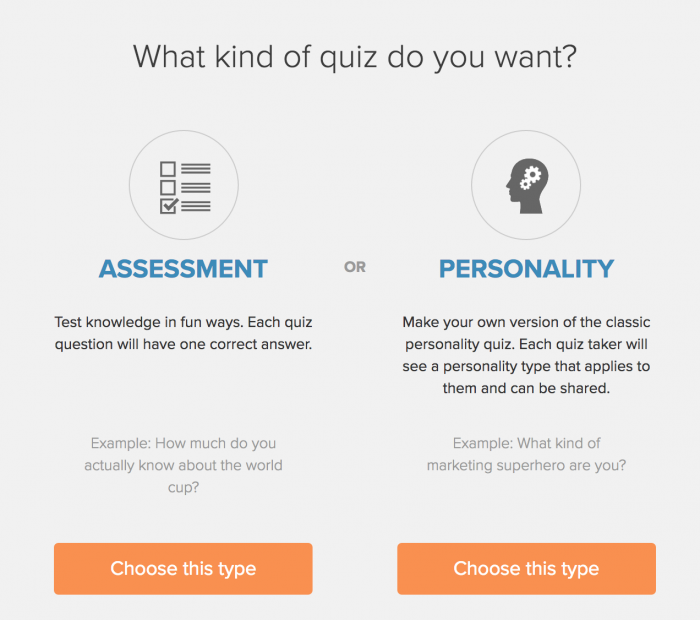 If your business is interested in lead generation, you’ve likely heard that online quizzes can make for an interactive lead magnet. I’ve been on the lookout for a great online quiz too when I came across Interact. An online quiz that easily integrates with Mailchimp? Sign me up! 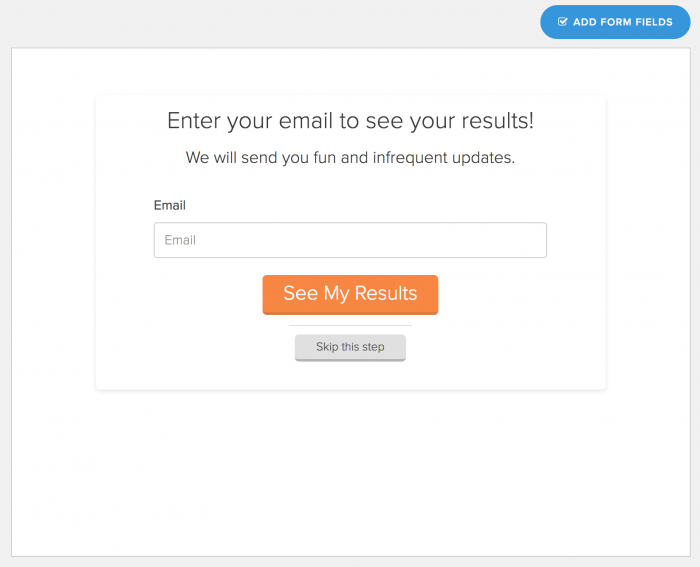 Interact is a tool that helps you generate new leads and drive sales with interactive content. This content could include personality quizzes, giveaways and assessments. Most of the B2B businesses I’ve worked with do not leverage giveaways as frequently as my B2C’ers, but they can be a powerful tool, when used appropriately. With a giveaways, you can reach new customers and reward them with something of value. Whatever you do, don’t give out crap! Your giveaway MUST be something worth putting a price tag on. If your business is built around educating your customers or showing them how to improve ___, an assessment is a great way to do that. I recently launched this Twitter quiz to test my social followers on how much they know about Twitter. It has made for a great conversation starter and reignited conversations with both past and potential clients. I found it really easy to create my first quiz on Interact, though plan to spend about 90 minutes on a lazy Thursday afternoon. Their step-by-step process will walk you through setting up your quiz. They provide some good examples and templates to help you out, if you’re a first-timer, like me. 3. Click Create New Quiz. 6. Now, pick your template from all the options. 7. Click to Connect Integration. Select whichever email app you use or simply choose the .csv File Download. I use Mailchimp. 8. Choose the list you’d like the leads to go to. 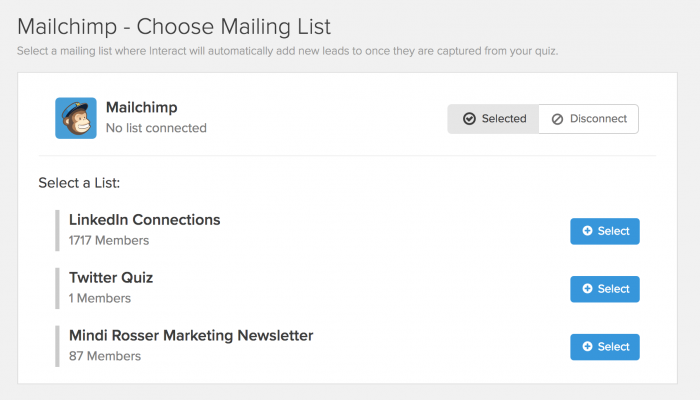 I created a Twitter Quiz list in Mailchimp for my quiz because I like to send a tailored email sequence afterward. 9. Edit your Lead Capture Form. You can keep it simple or make it pop, if you have skillz. 10. Now, comes the fun part. Edit the cover image, title and explanation. 11. Work through creating your questions and be sure to add a question image to each question. I like to use a mixture of multiple choice and True or False questions. A total of 6-14 questions is ideal. 12. Edit your Results page. If you want to get crafty, you can make separate results pages if you want different calls to action based on their scores. 13. Preview your Quiz. If everything looks good, it’s time to hit Publish. 14. 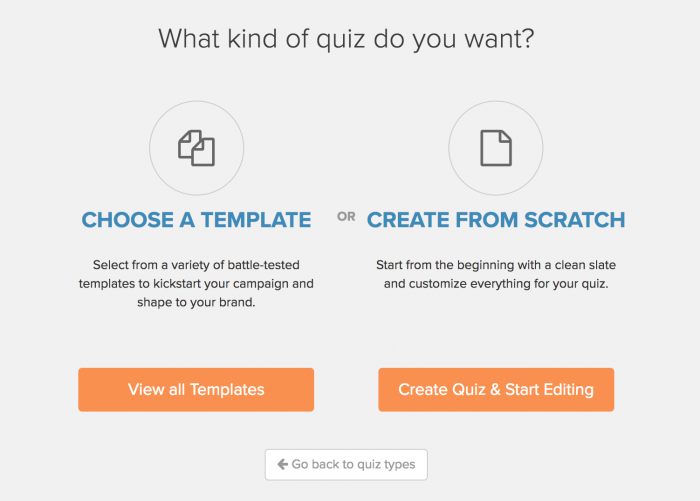 After you hit Publish, choose where you want to promote your quiz. I recommend publishing it across all your social channels and share it on your website. You can either embed it on relevant blog posts as a call to action, or you can create a new blog post just for the quiz. It’s up to you! WANT TO TRY OUT INTERACT? It’s easy to get started and try it out for 7 days. [Yes, it is an affiliate link.] I would recommend starting your trial the day you plan to make your quiz. That way, you can publish your quiz, start generating leads and determine whether it’s a worthwhile investment for you. If so, I’d recommend choosing the Lite program if you plan to publish 1-2 quizzes per month and the Growth/Pro programs if you plan to use the tool for multiple clients and frequent lead generation campaigns. As always, I’d be interested to hear more about your experiences with online quizzes. Have you tried them? Did they work? What tips would you share for newbies? Tweet me @mindirrosser or leave a comment below!